What are the "Next & Previous" buttons for? The “Next” and “Previous” buttons are for easier navigation through submissions. Hovering over the buttons displays information for next/previous submission. Submissions appear in order of which list you are viewing by (e.g. Recent, Active, Votes, etc..). 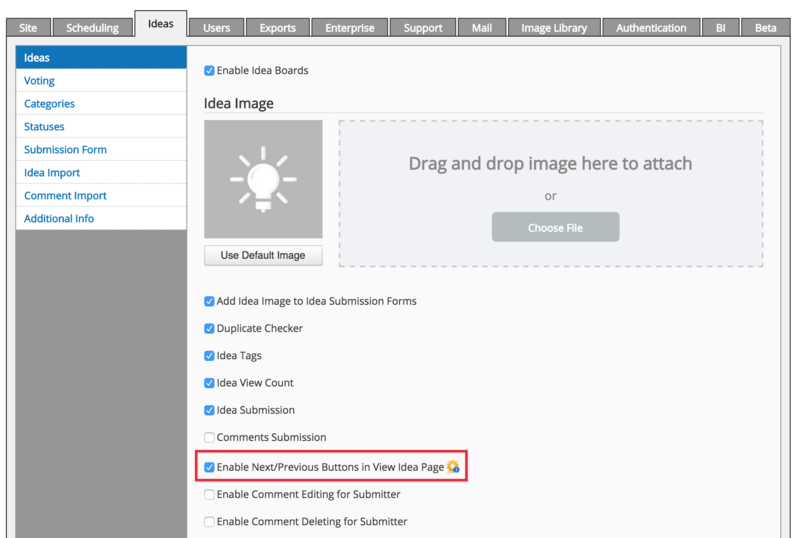 Please note: this feature only works coming from the main submission list/board page, not mini submission list widget or any other widgets. The user must also click on the first submission to navigate through the list.